Now that’s what I call a fun episode! I can definitely understand how that match fired up Fuka. That was one heck of a spectacular performance by Vivio. I think a lot of people including myself suspected that Vivio was going to end up losing like Miura. The episode did play up to that expectation in giving Rinne some ungodly strong shots in on Vivio when she got ahold of her. I honestly thought it was over and all that Vivio could do from that point on was lose with her dignity intact. Instead…we got one hell of a victory on her part. In a sense Vivio lead the match for the majority and won with a KO. The reality is that she snatched victory from the jaws of defeat. In a sense I’m wondering how the heck Fuka is going reclaim her main character status after that awesome display. Vivio just utterly took this show back and came out with an incredible win. Sure, she’s basically done for this tournament but it remains an incredible performance. I honestly expected Fuka’s match to start up this week. Credit to them for giving Vivio the time she needed to make an impact. Now we’ll see how Fuka’s match goes. I can’t imagine they will give it more than a full episode if that much. 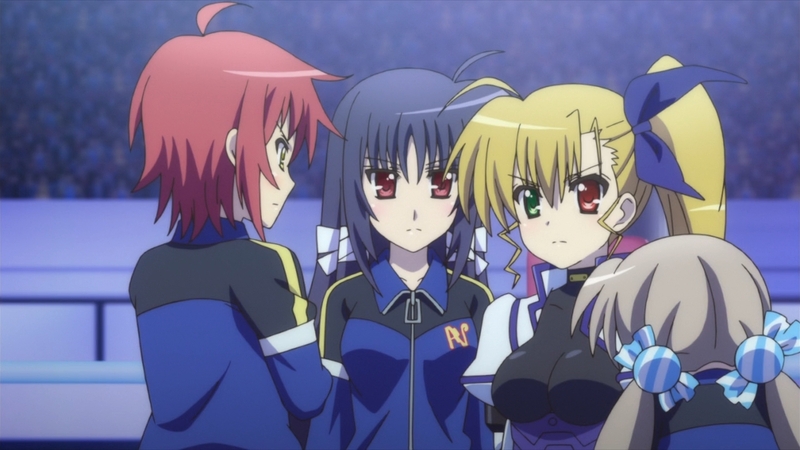 There is still the big fight against Rinne to go and very likely the final against Einhart. This upcoming fight though has to be long enough for Fuka to retake the spotlight. We need to actually see how good she is now before facing Rinne. I have to say that this win is a really good move for the story to take. Although at the same time I’m a bit unsure about how the story will proceed. Having Rinne lose again to Vivio is massive for her story and having it be via KO is critical. A huge part of Rinne’s trauma is how the bullies beat her unconscious and during that time she wasn’t able to be by her grandfather’s side. Losing to the same person twice and getting knocked out is massive for her. It messed her up so much that she was puking in the toilet afterwards. 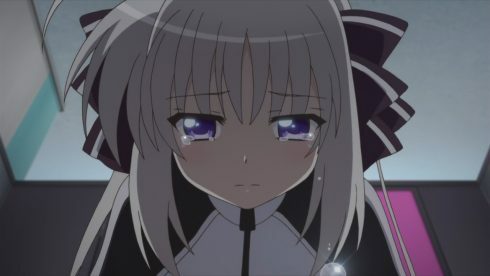 This result shows how utterly messed up Rinne remains after what happened. 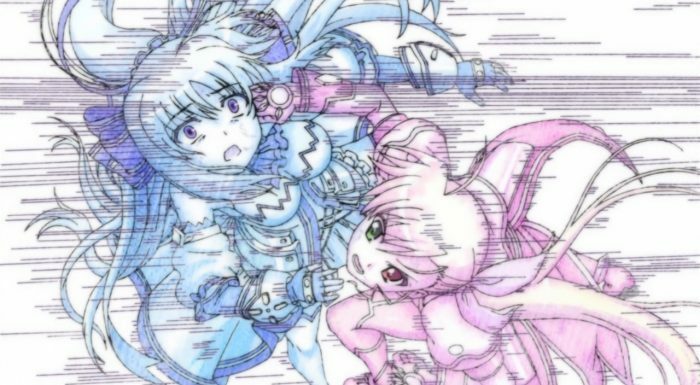 Vivio is right in that Rinne is just seeking strength as a means of escape. A single loss and she utterly falls apart. What I wonder though is how does this lead to a fight with Fuka? 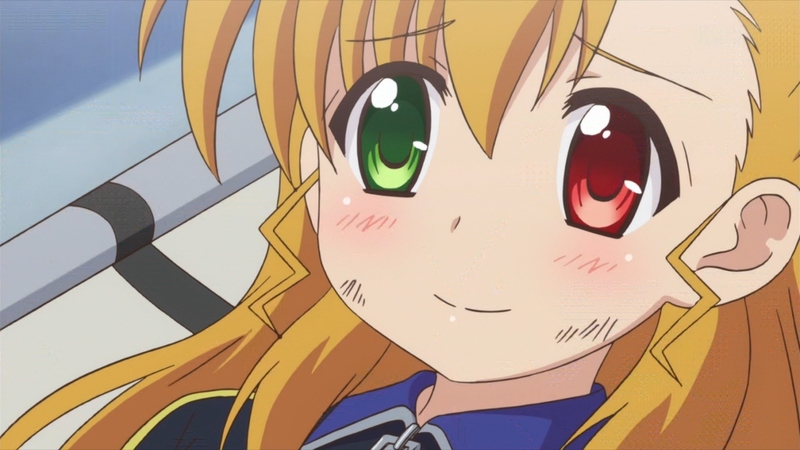 Vivio won, but in that condition she’s out of the tournament. She leaves with pride, but she can’t possibly go ahead and face Fuka in the following round. So…what happens? 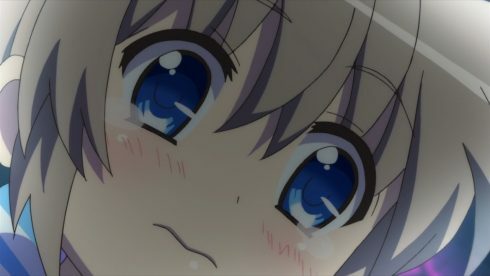 Does Fuka just default to the finals with Einhart? I suppose with the promise they could organize the promised match between Fuka and Rinne before or after that upcoming fight. Though in that case does that mean they’ll have the fight in a private setting rather than with an audience? That might be preferable since Fuka has some things to say to Rinne that might not be acceptable during an official match. If nothing else I’m now pretty curious to see where we go with this. That fight though deserves a lot of credit. Now there were definitely points where the animation and art…really struggled. Still, in terms of the points that mattered I think they nailed it. 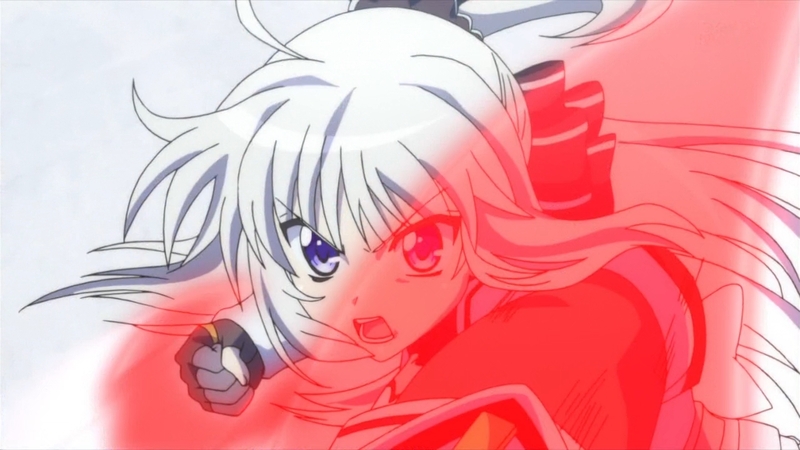 That moment where Rinne went pure berserker on Vivio was both shocking and awesome at the same time. There was good tactics in there, but also just pure ability and rage. Vivio is a counter fighter so there was no way she could ignore an obvious counter target. 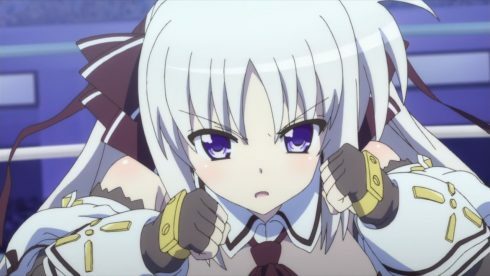 But, what she and Nove should have remembered is that Rinne is a tank. One big hit would hurt, but if she fought through it….then she could unleash hell. I was half sure that Rinne knocked out Vivio after that intense rush. That made her rise all the more spectacular. The end of the match was a mixture of messages. It was covering Jill’s issue of talent over heart/ability/specialization/etc. 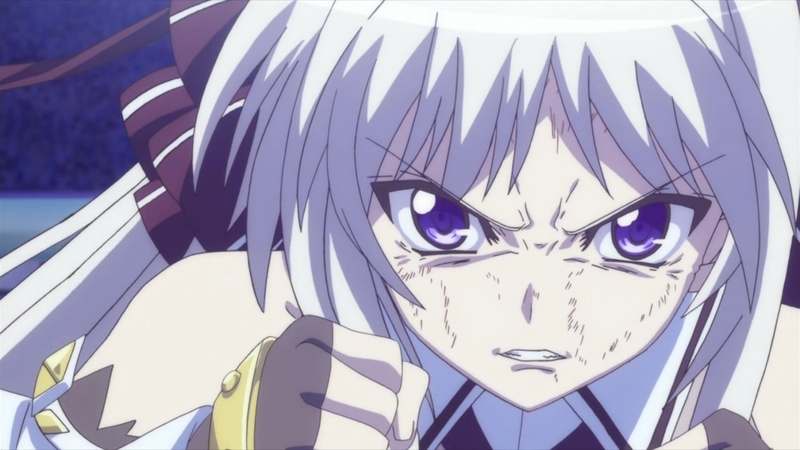 The fight also focused on the underdog and how Vivio rose up over her weaknesses. 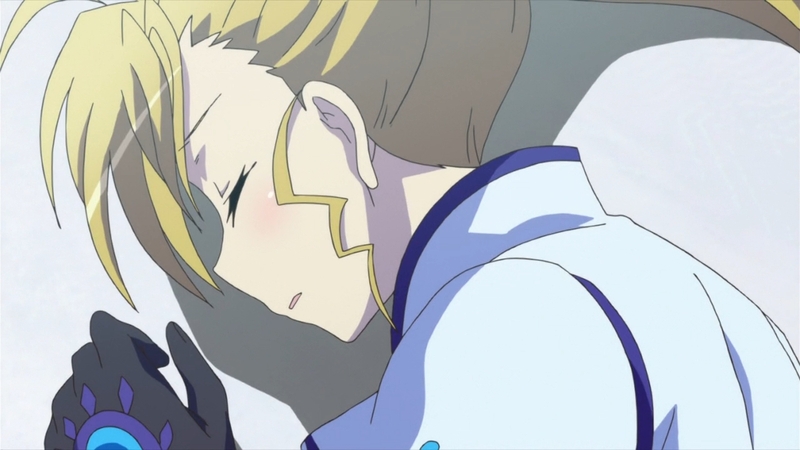 Unlike Rinne, Vivio recognized where she was weak and didn’t dwell on what she didn’t have. Vivio sharpened her weapons and through her love of competition she continued to push. 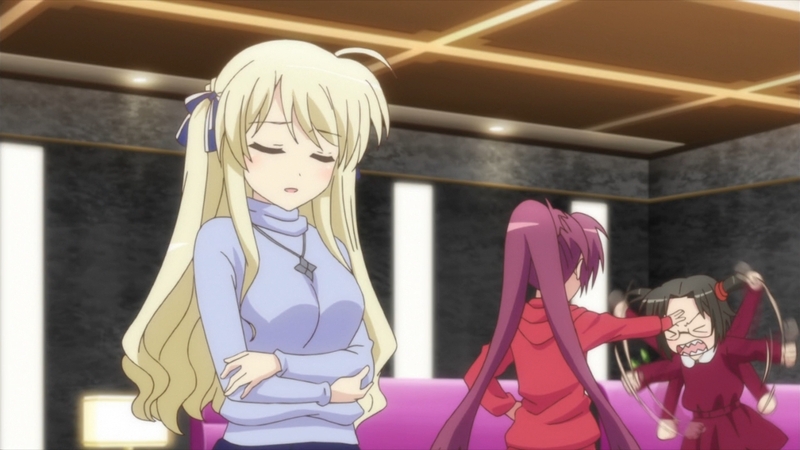 Rinne just never understood Vivio. In a sense she was like Fuka in episode 1. She looked at the obvious things about Vivio and presumed that she had never experienced hardship. Of course anyone who has seen StrikerS would know all that Vivio has endured. She took the lesson from that of always getting back up. Vivio can push herself like this because she loves it. Because she can simply throw herself into something she loves to do and perform to the best of her ability. That’s why she could overcome Rinne and why she kept on going. Vivio did meet good people and gained a lot through that. But Rinne is the reason that Rinne is currently alone. 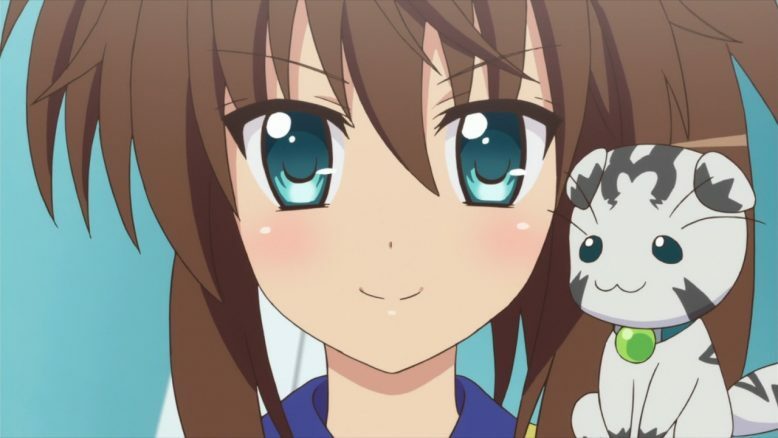 She could regain her friendship with Fuka, she could gain friendships with other competitors and find new friends at school. Rinne is getting in her own way. That last rush by Vivio was pure entertainment to watch. I loved seeing her push the pace and give Rinne no time to respond. It was a victory that didn’t feel like total BS. For the whole match Vivio had constantly been keeping her left side forward and focusing her attacks there. Through the majority of 3 rounds she fought that way and Rinne needed all that time to figure out the timing. And all the damage she sustained was on that left side. 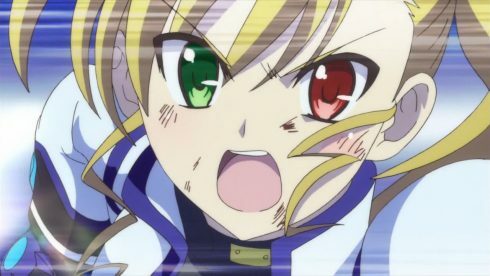 It was brilliant to have Vivio switch off and then attack with her right. It protected her vulnerable left and presented a whole new timing for Rinne to deal with. Rinne needed 3 rounds to figure Vivio out before…she had about a minute to deal with the new attack. And Vivio showed that skill and tactics can definitely overcome even a beast like Rinne. So this was definitely a great episode. By the point that Vivio just collapsed on the mat…I was just smiling. This really was an episode with one of those “hell yeah” reactions to it. 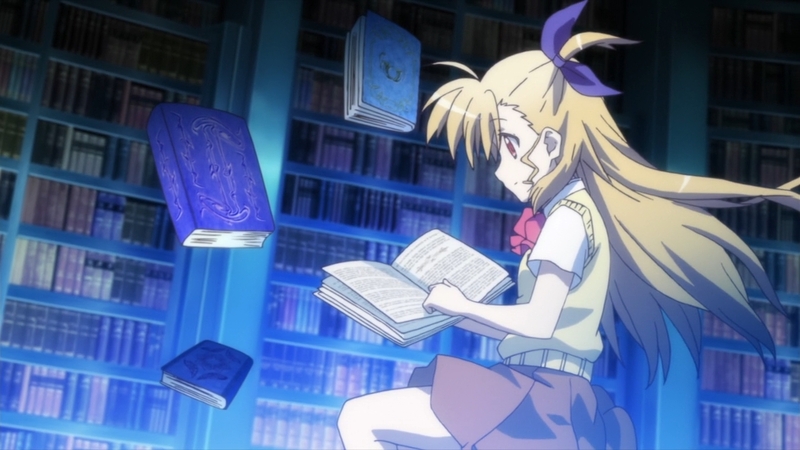 Vivio showed everything great about her character. 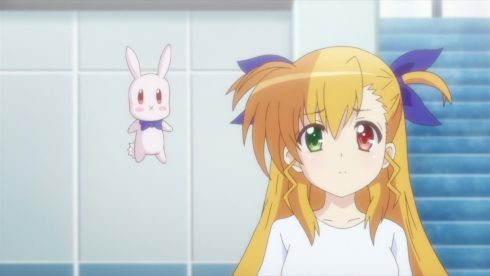 She isn’t going to be the one who get through to Rinne and help her. But, that win was critical in shaking loose things that Rinne had suppressed. Now Vivio has passed the baton to Fuka. The key for Fuka is to bring out all her ability in the next match and then figure out a set match against Rinne. I hope her opponent is good and honestly I’m just curious whom Fuka is facing right now. It needs to be someone good enough to really push her. Fuka can’t go through the whole show with Rinne being basically the only person she ever gets to truly fight.